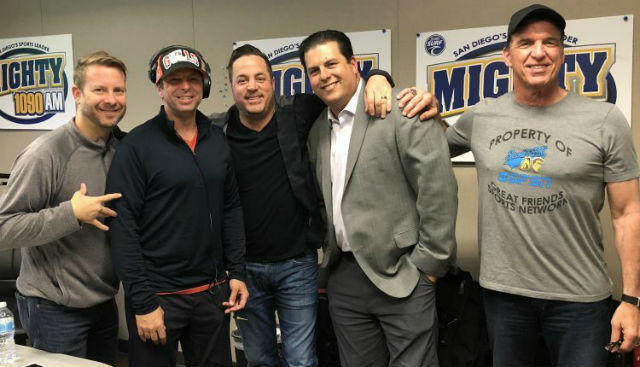 The future of San Diego sports talk radio station XPRS 1090-AM The Mighty 1090 remains in doubt after Andreas Bichara, the Mexico-based signal operator, alleging nonpayment of lease fees, last week replaced conversations about the Padres, Gulls and Lakers with Spanish-language music simulcast from a station in Brownsville, TX. While the station is off the air, some programming is still available via the station’s website and app. The Mighty 1090, operated by Broadcast Company of the Americas, had a good run since launching in 2003 with opinionated talk-show hosts, loyal listeners and promotions that engaged the community. In 2004, the year Petco Park opened, 1090 began a 12-year run as the flagship radio station for the Padres. The Padres switched to KBZT 94.9-FM for the 2017 season, and it was the first time in history for Padres game broadcasts to be heard on the FM dial. Shepard, a 30-year radio industry veteran, recently left BCA after Jaime Bonilla Valdez, another Mexico transmitter operator, in December pulled the plug — reportedly over nonpayment of lease fees — on two other BCA stations, XHPRS 105.7 MAX-FM and XEPE 1700-AM. Mike Glickenhaus, BCA president and market manager, declined by e-mail to provide a comment for this story. Mission Federal Credit Union has named Sanya DeVore as its new VP, director of marketing. With more than 20 years of global marketing and management experience, DeVore has a diverse background which includes working at Fortune 500 companies, start-ups and marketing agencies across the technology, as well as in the financial services and wireless industries. She will be responsible for managing Mission Fed’s marketing functions, including operations, creative, communications and community relations. DeVore came to Mission Fed from Cisco where she served as senior brand and event strategy consultant for the Cisco Live Strategy Team. She was responsible for creating and evolving their CIO thought leadership events driving the program strategy, building the agenda and content, securing speakers and managing executive leadership engagements. 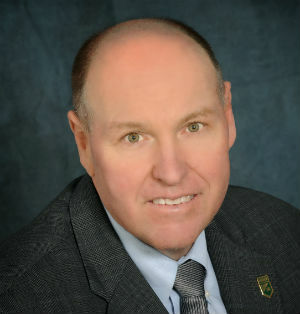 Prior to serving as a strategy consultant, DeVore held leadership positions at Dell EMC, creating a thought leadership program and overseeing a global marketing department for Iomega, a consumer and business unit. 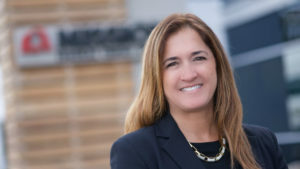 Her previous experience includes working for or partnering with such companies as Apple, Equinix, Fujitsu-ICL, Intel, Lotus Formula 1 Team, McAfee, McCann Erikson, Qualcomm, Townsend Agency and VMware. DeVore has a bachelor’s degree in business administration and marketing from the University of San Diego. “Sanya’s 20 years of industry leadership for building brands for people, products and companies will enhance Mission Fed’s communications capabilities and our dedication to the San Diego community,” said Debra Schwartz, president/CEO, MFCU. Chemistry Public Relations, with an office in Downtown San Diego and a virtual office in Los Angeles, has announced the addition of two Carlsbad hotel properties as new hospitality accounts. They include the 208-room Westin Carlsbad Resort & Spa, which opened last summer, and the 169-room Sheraton Carlsbad Resort & Spa, which was renovated last year. Chemistry PR said its other hospitality accounts include Tower 23 Hotel, Westgate Hotel, Storyhouse Spirits and Fort Oak Restaurant. KNSD-TV NBC 7, Telemundo 20 San Diego and Cox Communications are media partners for an e-waste recycling and technology collection drive, plus a prescription drug take back, from 10 a.m. to 2 p.m., Saturday, April 27, at the City of Chula Vista’s Public Works Yard, 1800 Maxwell Road. Additional event partners include the City of Chula Vista, Chula Vista Police Dept., San Diego County Drug Enforcement Agency and Green Hat Electronics. People are encouraged to donate any working or non-working technology device that can be refurbished or recycled. For event information, visit www.c2sdk.org. The event will benefit Computers 2 Kids San Diego, a local nonprofit that recycles and refurbishes used computers for families in need. C2K believes all children and their families in San Diego, regardless of their economic status, need to be computer literate and have equal access to technology and the crucial educational, occupational, and financial resources that technology can provide to improve their educational options and their futures. Since 2004, C2K has impacted more than 389,000 children and their families in San Diego.